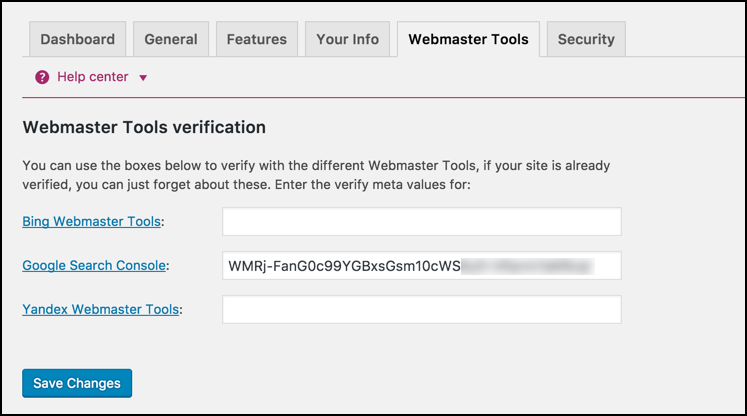 This is the guide to configure Yoast SEO plugin. In the 9.x version, some changes have been made to the UI, but the configuration is still the same. I have updated this with editing meta description & titles for single posts, which has changed in the latest version. Whenever we talk about the best SEO Plugins for WordPress, Yoast SEO emerges as a prominent name. 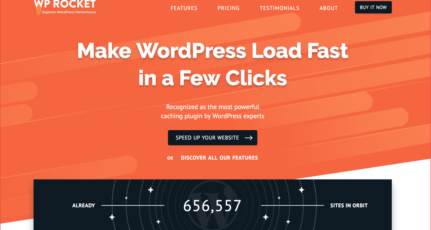 Many of you who are using the All In One SEO plugin should know about this much more advanced plugin, which is available in WordPress with the name, “Yoast SEO“. This plugin has integrated many known features of other plugins by Joost de Valk (for example, the Meta Robots plugin, the RSS Footer plugin, and many others). 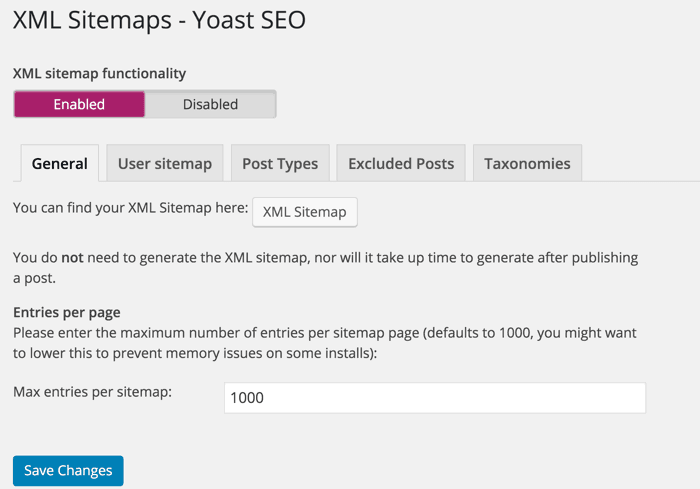 Since this plugin offers many features, setting up the Yoast WordPress SEO plugin is not that easy. For this reason, I am sharing Yoast SEO tutorial to help you setup Yoast SEO for optimal SEO performance. Yoast SEO is a powerhouse for WordPress search engine optimization. However, setting up this plugin might be tricky for some, and a new blogger, or anyone without basic SEO skills, might find it difficult. An incorrect configuration can stop search engine bots from indexing your blog, or you might inadvertently let bots crawl a part that is not important. Hide RSD, WLW, shortlinks from head. These are some of the settings offered by this plugin. There are many more. Now let’s get started with the tutorial, and set up this free SEO plugin. 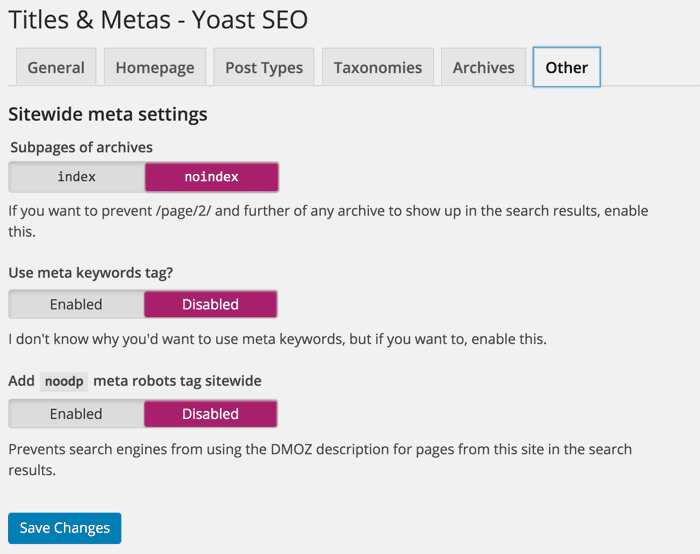 The very first thing you should do after installing Yoast SEO plugin is: Go to Dashboard > Features > Advances setting pages & enable this feature. 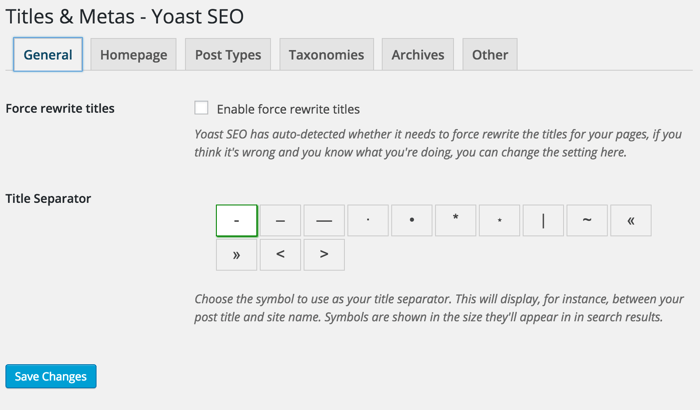 If you are installing Yoast SEO on a WordPress blog where you were using some other SEO plugin or theme SEO settings, after activating advanced settings you should go to SEO > Tools> Import & Export > Import from other SEO plugins in the left panel. Select the plugin from which you would like to import your settings. I suggest taking a backup of your database, and then using the option to “Delete the old data after import? (recommended)”. The first step to getting started with this plugin is to submit your site to Alexa, Google, Bing, and Yandex. After installing the plugin, click on SEO > Dashboard > Webmaster Tools to access this page. You can refer here to learn how to submit a site to Google and Alexa. This is one of the most important parts of this plugin, and I will explain most of it with screenshots and some brief explanations below them. Once you click on “Titles & Metas”, click on the “General” tab first to see what separator is being used and what that separator does. This will help you to quickly set up the title and metas SEO aspect of the plugin. Click on the “Homepage” tab of the “Titles & Metas” section and configure the settings for your homepage title and meta description. By default, you will have Post, Pages & Media types. If you are using more custom types in WordPress, you will see its section here. Here you can define the SEO for the post, page, and media sections of your WordPress blog. As I mentioned above, be sure to check out the help section to understand what templates you can use. Also, by default, WordPress SEO by Yoast hides the date from search engine snippets, which is useful for blogs writing evergreen content. If you are running a news blog and want to show the date for your posts in search engines, you can check the “Date in Snippet Preview” box. I prefer keeping tags and categories as noindex and dofollow. However, you should set this up depending upon your own SEO plan. If you wish to use my settings, simply check the “noindex”, “Follow”, and “Hide” boxes. Once again, you can configure the title template according to your needs. Since we are not indexing tags and categories, you can add more user and brand-centric title templates. 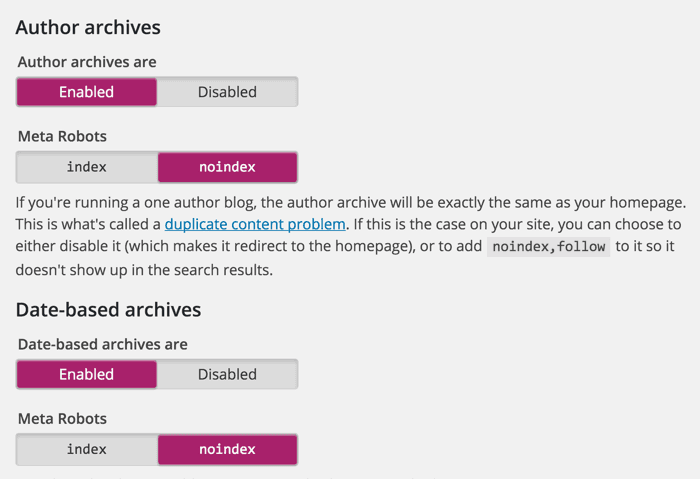 Here you can set indexing for your author and date-based archive. Also, you can disable or enable the date and author archive. I suggest that you check the “noindex” and “follow” boxes, and leave everything else as it is. This is the last one under the “Titles & Metas” settings. Here is what I’m using which seems to be working well & driving about 1 million page views from search engines every month. You can ignore “Use meta keywords tag?” Google already made it official that they do not care about keyword meta tags. 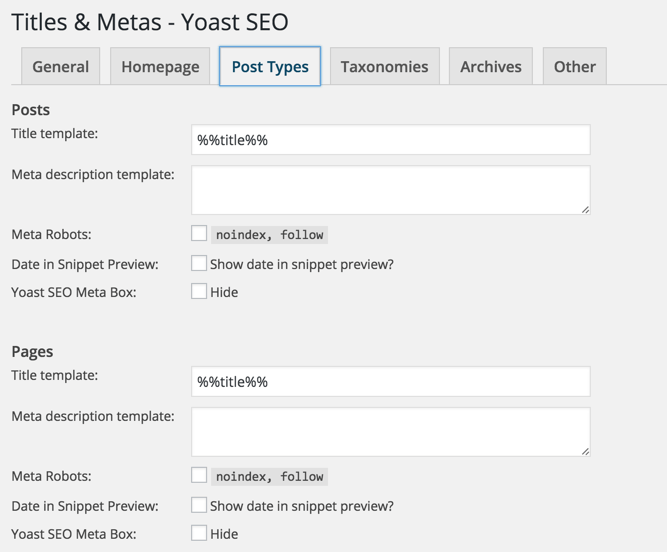 This completes the “Metas & Titles” settings of WordPress SEO by Yoast. 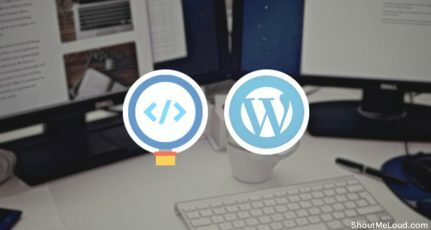 The final options will keep your WordPress blog head section clean by hiding information such as posted short links, WLW manifest links, and others. In SEO by Yoast 3.0, they have added the Google Knowledge Graph feature. This will show your social media profile in search engines whenever someone searches for your brand name. Here you can configure the Facebook Open Graph meta tags, the default image for Facebook, and the Twitter meta card. You can learn in depth about Facebook Open Graph meta tags here. I recommend that you add a default image, which will help Facebook show an image when your posts have no image and are liked or shared on Facebook. Enable the sitemap feature and this plugin will take care of your blog’s sitemap. After creating the sitemap file, submit the sitemap to Google, Bing, & any other search engine that accepts sitemap files. Note: Don’t confuse this with the WordPress default permalink setting. 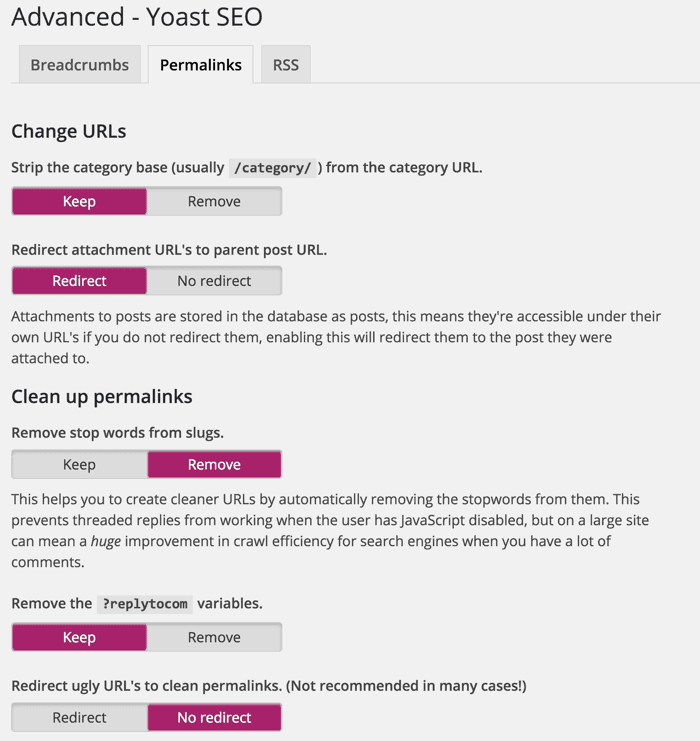 In the Yoast SEO plugin, you can configure advanced Permalink settings. I usually use 2-3 settings from here to avoid parameters being indexed in Google searches. With this plugin, in particular, it is easier to get rid of the replytocom parameter, which is quite a headache. This part integrates the feature of the RSS footer plugin. When using it, you can add a link back to the original article in RSS feeds. You can also use it to add advertisements to your RSS feeds. Note: This setting is also in the “Advanced” section. Breadcrumbs are useful for getting search engines to understand your site structure, and they help users to navigate your site. However, I have never tried and tested breadcrumbs on any of my sites. You can read the official guide here for a better understanding of breadcrumbs. 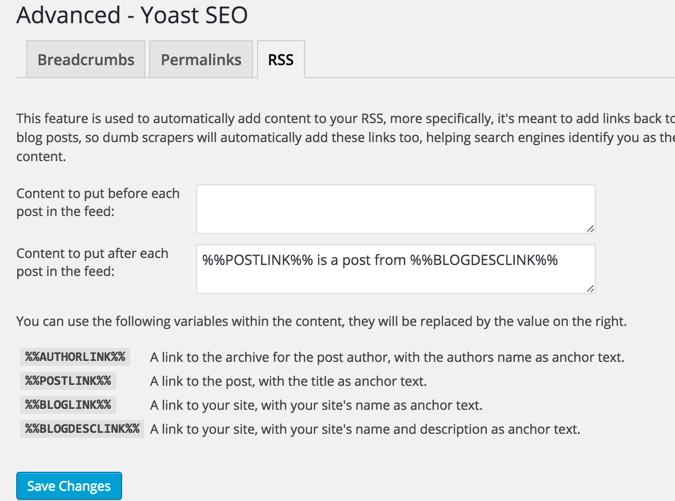 This is another useful feature of the WordPress SEO by Yoast plugin. 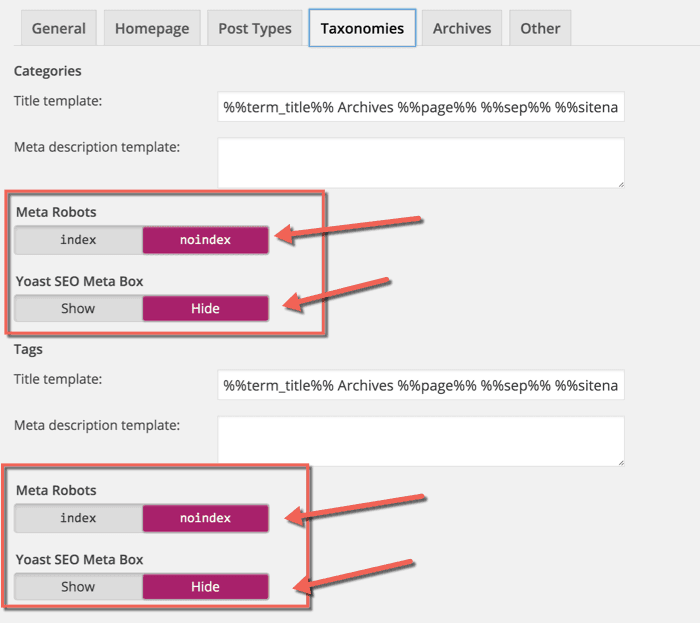 You can edit the WordPress .htaccess and robots.txt file from the dashboard. I hope this tutorial will help you to set up WordPress SEO by Yoast correctly. Once you are done making all the changes in your SEO by Yoast plugin, go ahead and use the Google Rich Snippets testing tool to check for authorship, and see how Google will show your blog post in Google Search. Note: The features below are in the Pro version of SEO By Yoast. These are optional, and you may or may not need them. In the latest version of SEO by Yoast, they have made a major design change, which is confusing for old users when it comes to adding meta titles & descriptions. You need to click on “Edit snippet”. Once there you can enter the “SEO title” (Meta title) and “Meta description”. 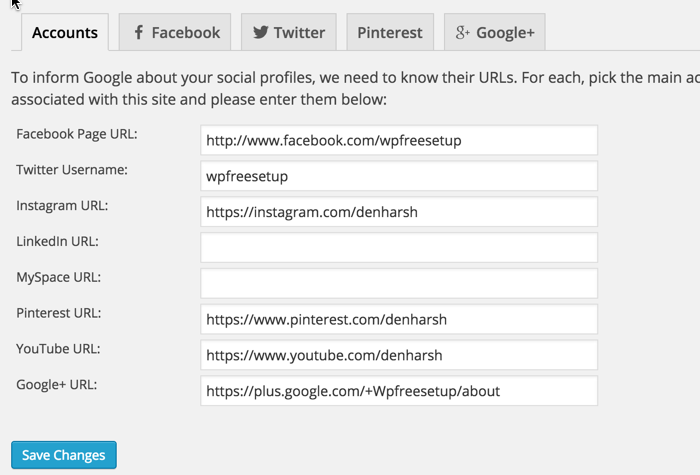 This is another handy feature of this plugin, as it allows you to direct any URL to another URL of your choice. When you are getting too many 404 errors (you can check that in the Google Webmaster tool), you can simply re-direct them to save your link juice. If you want to learn much more about 404 error pages and SEO, you should read this detailed guide. In my earlier articles, I explain how important it is for you to submit your blog to Google Webmaster tools (aka Search Console), and to monitor all the crawl errors. This way you will know what errors Google is getting while trying to crawl and index your blog. 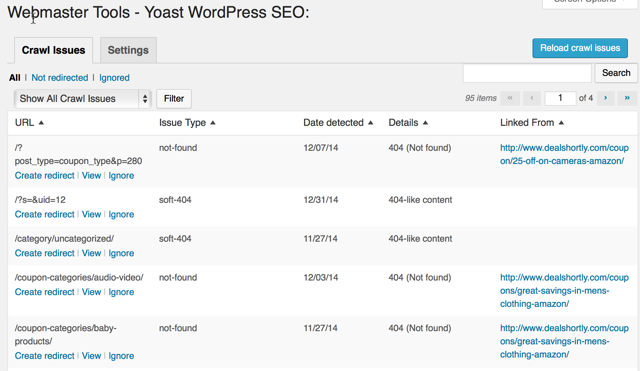 With the SEO by Yoast Webmaster tool, you can see all of the errors inside your WordPress dashboard. You need to add the authentication code (this is a simple step), and after that, you can see all errors from within your dashboard. This is one of the best SEO plugins for WordPress blog. I highly recommend that you make sure you know what you’re doing before making any changes. An incorrect configuration may bring negative SEO effects to your blog. But if you follow this guide, you’ll be OK.
Tell me: What settings are you using to ensure your blog is indexed correctly and optimized for search engines? Let me know in the comments below! I am the biggest fan of the Yoast SEO and enjoying it from years. And literally, it is helping me with my SEO needs without me learning the basic curves of the SEO. Thank for sharing your experience. I try lots of time to set up a Yoast plugin but every time I am facing problem but after reading this article and also see the video I successfully add plugins to my site. thanks, sir. Which Was The Best Substitute Of Yoast? All in One SEO is a good substitute for Yoast. I have read your guide regarding Yoast SEO configuration and it is one of the best guides. I have configured my Yoast plugin and I hope that I will get better results. Thanks for the detailed guide. I would like to ask if it’s solely for Bloggers OR Can I use the same settings for my E-Commerce site. I’m using Astra starter theme(BrandStore i.e. 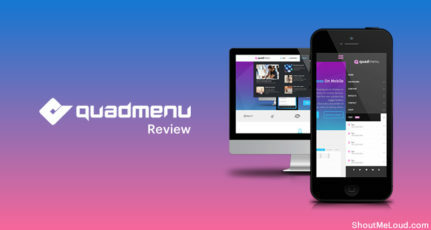 for FREE) with woocommerce and elementor, all for free. Please guide if I can copy all the settings for an ecommerce site? P.S. I have not launched the site till now. In 90% scenario, you will use the same settings. There might be a few things you would tweak depending upon how you structure your e-commerce store.